As the hours creep closer and closer to midnight, plans are being made for the year ahead. 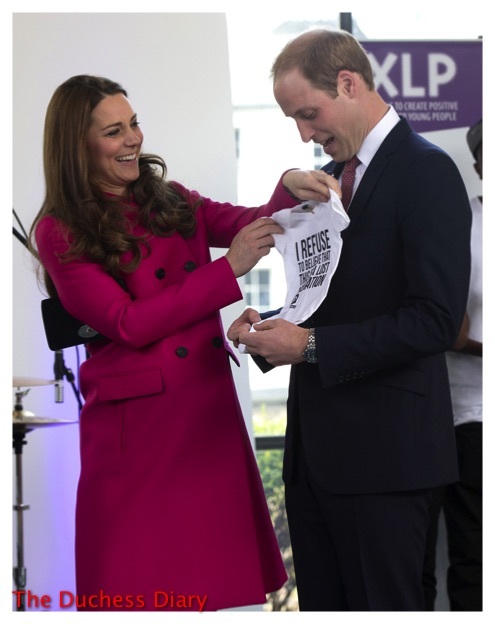 In January of this year, Kensington Palace broke off from Clarence House in order to represent the Duke and Duchess of Cambridge and Prince Harry, whose household was created in 2009. KP has been very active on social media, namely Twitter and Instagram. 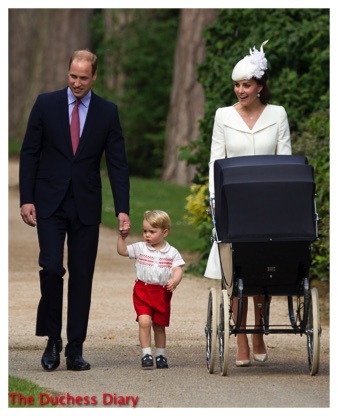 Family photos of the Cambridges were shared, as well as Prince Harry’s last weeks with the armed forces before retiring. 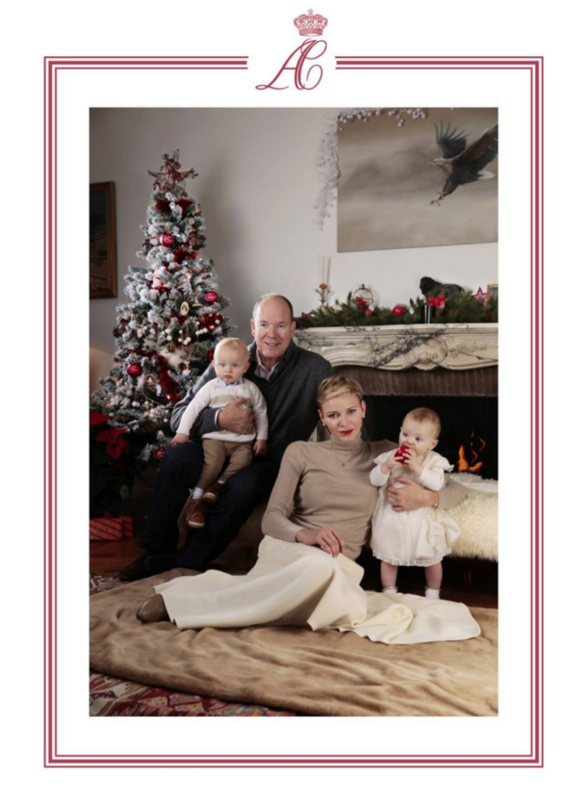 The Prince’s Palace of Monaco released a video on Facebook of Prince Albert and Princess Charlene with their one-year-old twins, Jacques and Gabriella. The interview took place in early December, and a DVD was sent to citizens of Monaco recapping the twins’ first year. Charlene and Albert described parenthood while the children chewed on toys and crawled around the room. “They’re very active, very playful, absolutely adorable and a lot of work!” Charlene said. The twins don’t suffer from stranger danger yet, which is great considering their future duty to Monaco. 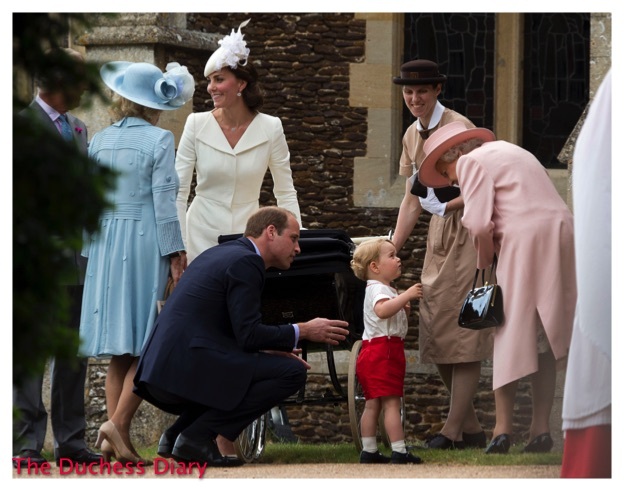 “I think they seem very much at ease with all the people they meet, with other children, but also adults.” Albert said. Charlene, a former Olympic swimmer, made sure to get the children in the water even before they took their first steps. 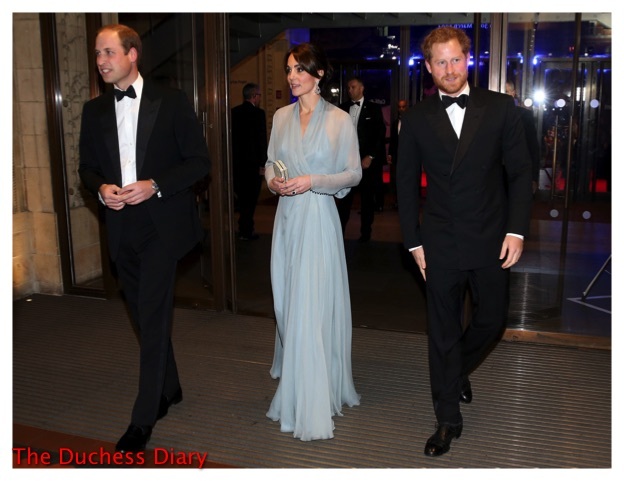 Catherine called on one of her favorite designers, Jenny Packham to create this baby blue backless creation with an encrusted waist. Oh, and that up do. What does a girl need to ingest to get hair like that? Her Royal Highness borrowed a pair of Robinson Pelham diamond, blue topaz and white gold earrings ($21,000) from her mother, Carole, who first wore them to the royal wedding’s evening reception. 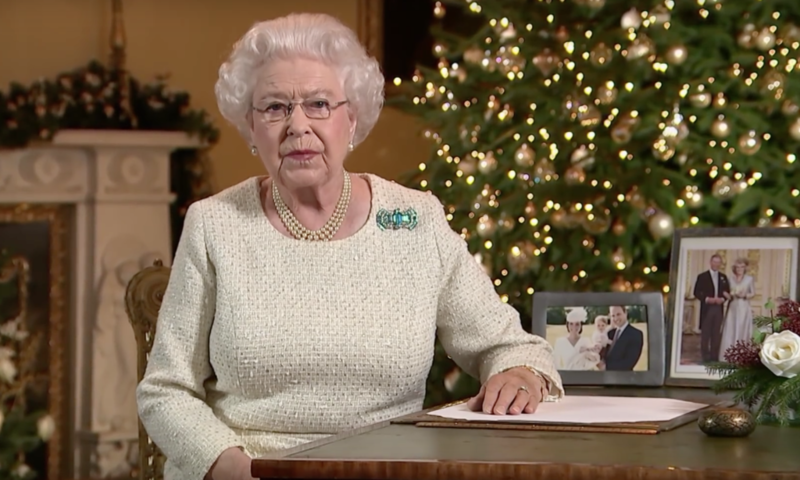 Sitting at a desk in the 18th Century Room inside Buckingham Palace, Her Majesty gave her annual Christmas broadcast, a tradition started by her grandfather, George V at the family’s Sandringham home in 1932. Family portraits including Princess Charlotte’s christening and Prince Charles’ wedding photo are on display in the background as Her Majesty spoke of the year that has past, and what lies ahead. Apologies for the delay in putting up stories about the Windsors from this weekend. I was soaked in equal parts Amaretto and Mexican dip. 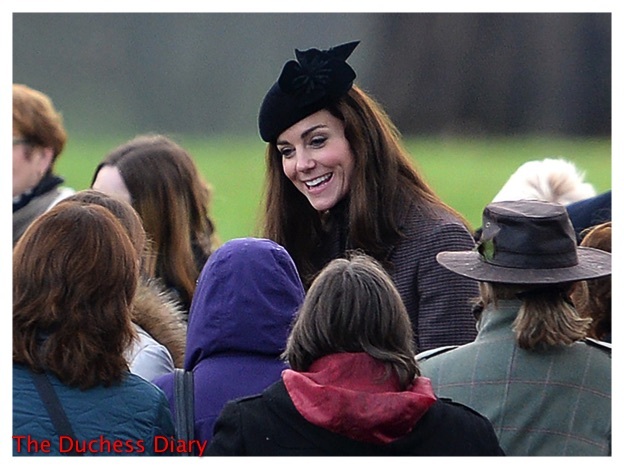 There were few opportunities for a chat on Christmas Day, as the rain came down upon royal well-wishers outside the Church of St. Mary Magdalene in Norfolk. 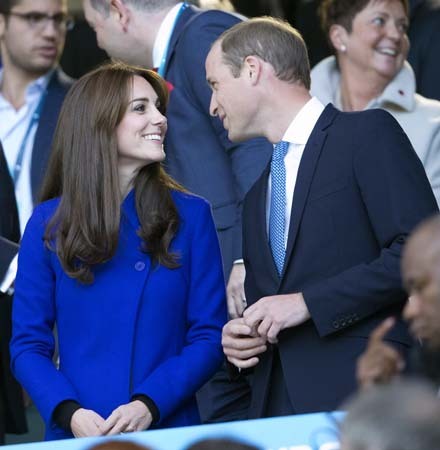 William and Catherine (in a Sportmax coat) did not stop to greet people as they have in the past. 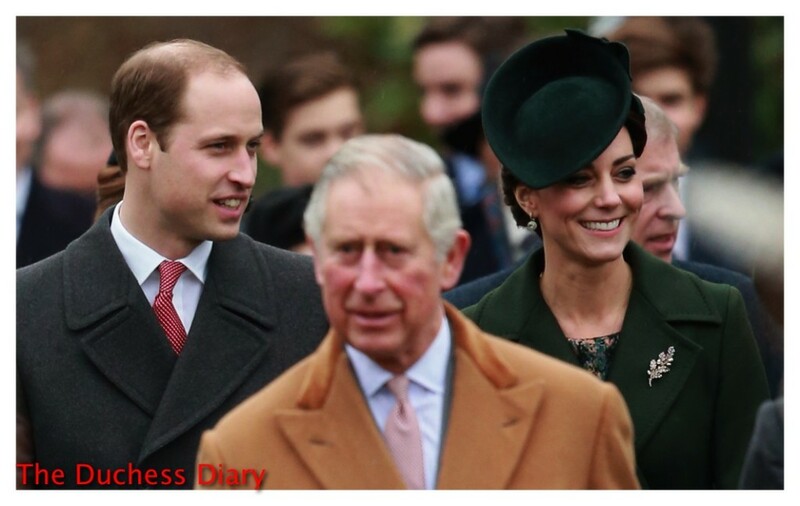 Today, the Duke and Duchess of Cambridge joined the royal family for Christmas Service at St. Mary Magdalene Church. Oh my GOD, look at these little butterballs. While Princess Charlene posed ever so elegantly, Princess Gabriella chewed on an ornament/apple and looked at something off camera…as you do. In 7th grade I asked a stylist to give me the “Rachel” cut, AND MY MOM ACTUALLY ALLOWED IT TO HAPPEN. 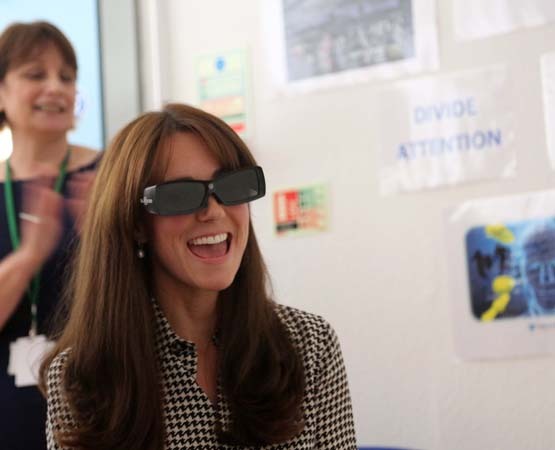 So when I read that the Duchess of Cambridge reportedly isn’t too “keen” on her bangs, I empathized. According to The Sun, Catherine told friends that she’s not feeling the “mum fringe” celeb stylist Richard Ward created. Word has it that the Queen has made “gentle suggestions” regarding Catherine’s hair ever since seeing her “glamour girl hair do” at Wimbledon. Her Majesty recommended “a length deemed more appropriate for a high profile member of the royal family,” according to the Daily Mail. I’m disappointed that the Queen doesn’t consider Catherine’s hair a national treasure. Therefore I will express my frustration by assuming I know what Catherine thinks about her glorious, heaven-sent, ocean-parting hair. Do these glasses make my bangs look frumpy? JK, I’m glorious. 2. Thank you, darling. I AM beautiful, no matter what they say.